ImplementDevelop methods to reduce costs and add value for your customers in every interaction. 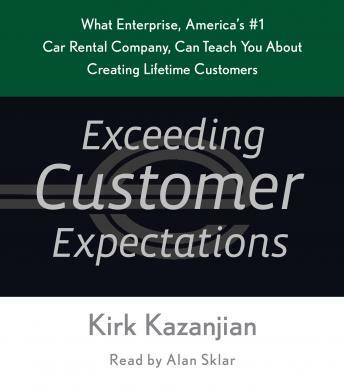 In EXCEEDING CUSTOMER EXPECTATIONS, noted business author Kirk Kazanjian reveals how your company can consistently outperform and outsmart the competition by following a simple philosophy espoused by Enterprise founder Jack Taylor: “Take care of your customers and employees first, and the profits will follow.” Winning customer loyalty is like running a marathon—not a 100-yard dash. By mastering this principle, Enterprise has earned not only record profits, but also received numerous awards for customer service and gainedearned an enviable reputation as one of the world’s best companies to work for, won countless customer service awards, and enjoyed a nearly unbroken streak of record profits . EXCEEDING CUSTOMER EXPECTATIONS imparts timeless lessons on satisfying both customers and employees that you can put to use right away, no matter what your business or industry.